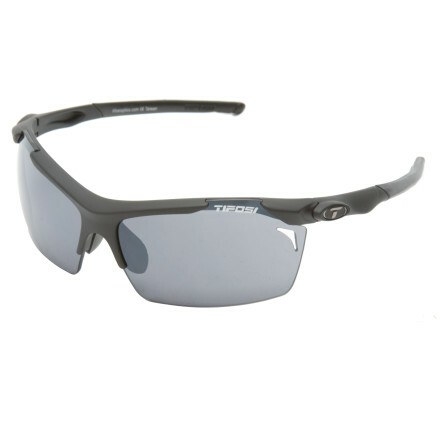 Endurance athletes, runners, and bikers in search of a lightweight pair of shades that won't fog will love the Tifosi Tempt Interchangeable Sunglasses. A streamline shape keeps these shades close to your eyes for superior coverage, and the ventilated lens design means that you can work up a sweat without fogging your view. Fit for small to medium-sized faces, the Tempt takes the place of your lifestyle shades when you head out to pound the pedals or go the distance on the trail. Proposition 65 Warning for California Consumers: This product contains chemicals known to the State of California to cause cancer and/or birth defects or other reproductive harm. 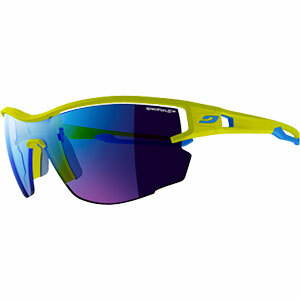 From sun up to sundown, the Tifosi Tempt Interchangeable sunglasses have you covered. 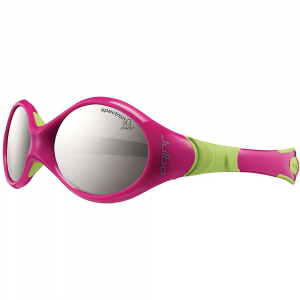 Swap out lenses to fit your activity as you move from the sun to the shade. 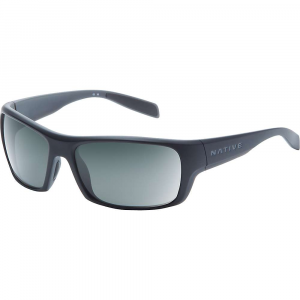 Featuring interchangeable lenses, frame includes 3 pairs of lenses (smoke gray, red, and clear tints) that accommodate bright light, low-medium light and nighttime conditions. Lightweight and virtually shatterproof, polycarbonate lenses are 20 times more impact resistant than glass and one-third the weight. Grilamid(R) TR90 lightweight nylon frames offer a consistent fit and flexibility in all temperatures and are extremely impact resistant. 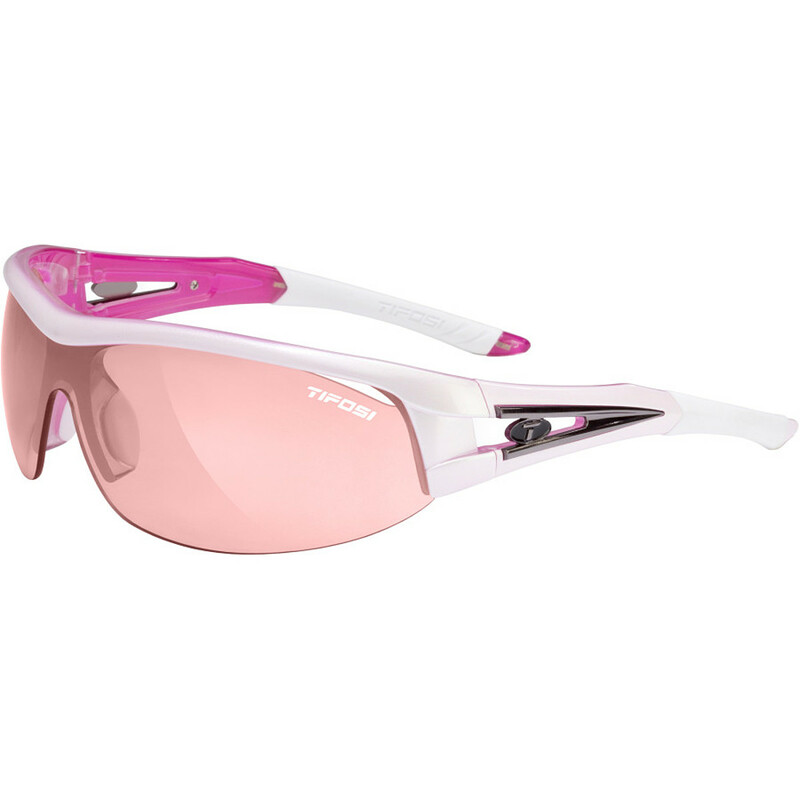 Ventilated lenses increase airflow to help eliminate fogging. Rubber nosepiece and temple ends become tackier when wet for reliable grip during exercise and hot weather. Fits small to medium faces. 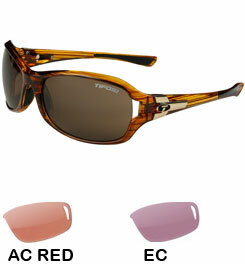 Tifosi Tempt Interchangeable sunglasses include a semirigid zippered storage case and cleaning cloth. 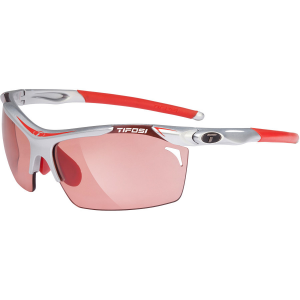 The Tifosi Tempt Interchangeable is not available from the stores we monitor. It was last seen February 28, 2019	at Backcountry.com.